I would like to know if it’s possible to migrate one addon domain to ClassicPress. In my cpanel I have two active domains. One of the domains I want to move and the other I want to continue to run on WordPress. Is this possible? Both domains are active. I already have (two) different installed themes, active pages and posts. Is this a Multi Site install or two separate WordPress installations? If it’s two separate installs then install the migration plugin on the site you want to upgrade to ClassicPress and run it. Two separate installs. 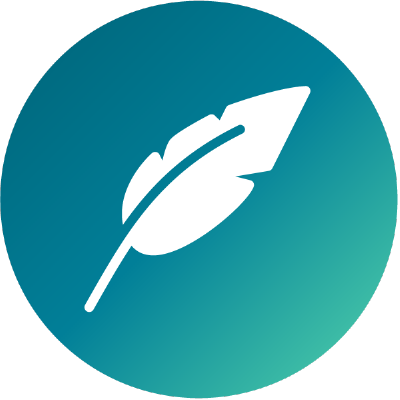 I installed the Switch to ClassicPress BUT I have the following message on the plugins page: This plugin supports WordPress versions 4.9.0 to 5.0.2 (and some newer development versions). You are running WordPress version 5.0.3 . Sorry, we can’t switch this site to ClassicPress at this time. There’s no issue running WordPress and ClassicPress on separate addon domains since they are separate instances. The issue you’re running into is about to be fixed. Migration plugin needs to be tested for each WordPress version to make sure it works, and then update is pushed out making it available for the new version of WordPress. 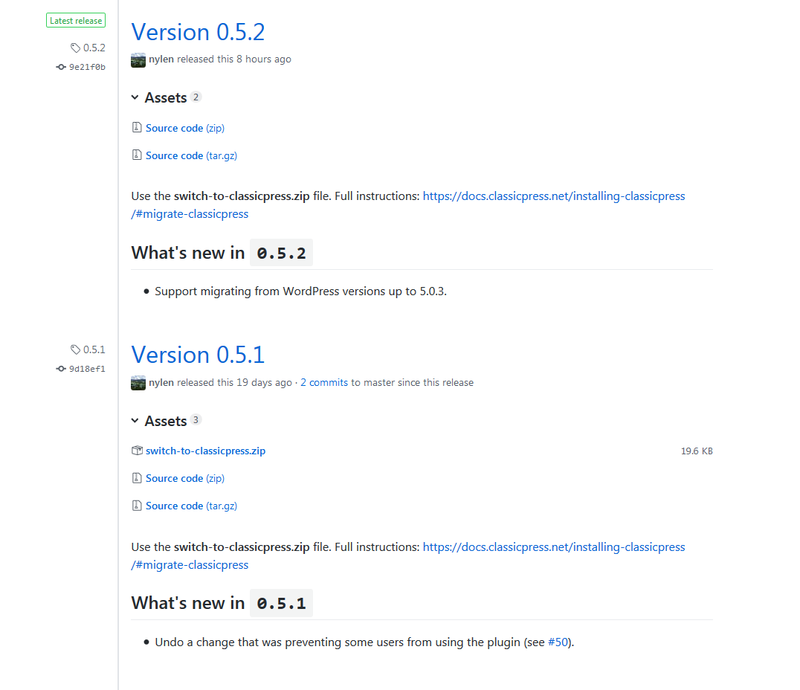 I think @james was working on an update to make migration plugin compatible with 5.0.3. The limit is there because it hasn’t been fully tested against 5.03 although I expect it will work fine. Check the following link. If you need more help let us know. 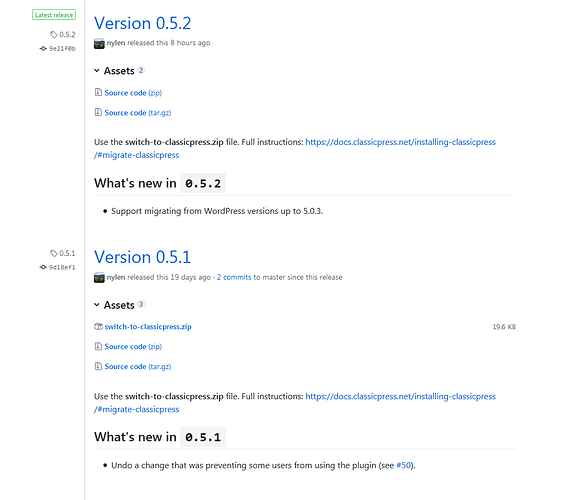 I should be able to get a new version of the migration plugin out tomorrow with support for migrating from WordPress 5.0.3. Waiting for the update. Thank’s ! The website address is: http://stefan-szabo.eu/ on Adonia (Themetry) theme. Many thanks, but I’m only seeing the sourcecode on the download page on Github under “Assets” for this latest version (also the case when following instructions on ClassicPress website which may well confuse those new to CP). switch-to-classicpress.zip latest version isn’t listed under v0.5.2, though the previous version is under v0.5.1 - see screenshot. I’m not that concerned personally, but anyone checking out CP from the website for the first time will be confused by this. You’re right. Just looked at the contents. There should be a “switch” zip file like previous releases. The files needed are in that zip file. Stefan said it worked. I’d try it and see what happens. You’ll soon know if it works or not - you’ll get the green ticks. My fault, this was an incomplete release. The switch-to-classicpress.zip file now exists as expected at https://github.com/ClassicPress/ClassicPress-Migration-Plugin/releases/latest. Sorry about that. @Graham and others: Please don’t link directly to specific versions of the plugin, as they will quickly become outdated and it can be hard to tell what’s going on when that happens. Use the https://github.com/ClassicPress/ClassicPress-Migration-Plugin/releases/latest link instead.